The University of New Mexico’s Department of Geography and Environmental Studies (GES) hosts two events in conjunction with the national Geography Awareness Week, Nov. 13-17. Geography Awareness Week has been held nationwide since 1987 to promote geographic education in schools and in the general public. “Geography Awareness Week is a great time to engage students in thinking about how Geography and Environmental Studies are central both to our everyday lives and to our global future,” said Dr. Maria Lane, GES chair. 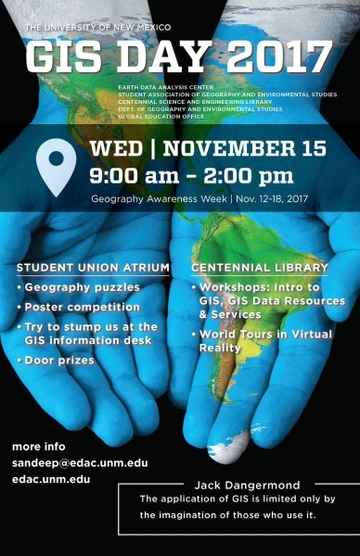 The first event is a student-hosted GIS Day Poster Competition on Wednesday, Nov. 15, from 9 a.m. to 1 p.m. at the UNM SUB Atrium (Lower Level). This competition has been organized by the Student Association of Geography & Environmental Studies (SAGES), with faculty judges from GES, other UNM departments and the professional community. This event will highlight student research in GIS and spatial analysis, and the public is invited to view posters throughout the day. The GIS poster competition is part of a larger nationwide celebration of GIS DAY, which is co-hosted at UNM by GES, SAGES, the Earth Data Analysis Center (EDAC), and others. 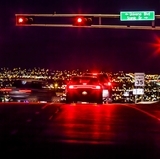 EDAC is a UNM-based professional agency which uses Geographic Information Systems (GIS) to help solve problems regarding public health, floodplain and water management, border dispute resolutions, and more. GES offers a wide range of classes exploring human relations with place and environment, including courses on spatial technologies like GIS and remote sensing. During GIS Day, experts (and experts-in-training) from both units will be present to answer students’ questions. There will also be geography puzzles, posters, and prizes. Students who have interest in GIS as part of a career, or who are considering taking a GIS class, should take advantage of GIS Day as an excellent opportunity to learn about UNM’s resources. The second event features Janet Franklin, a renowned professor of biogeography. She presents the 7th Annual Murphy Memorial Lecture on Friday, Nov. 17 at 3 p.m., in the Kiva Lecture Hall, room 104. Franklin is a Distinguished Professor of Biogeography at the University of California, Riverside, and expert on the patterns and dynamics of terrestrial ecosystems at the landscape scale. Her Vegetation and Landscape Ecology Lab studies the impacts of human-caused landscape change, especially on forest, shrublands and other plant communities, and the wildlife that depends on these habitats. 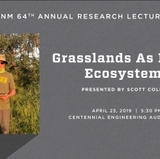 Franklin’s lecture is funded by the Murphy family in honor of Richard Murphy, founder of UNM’s Geography and Environmental Studies Department. 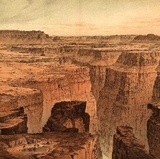 The first Murphy Lecture was given by Murphy’s son, Alexander B. Murphy, a professor of geography at the University of Oregon and former president of the American Association of Geographers. 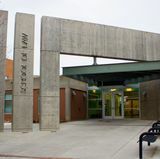 “We are delighted to have this funding source, now in its seventh year, to bring distinguished geographers to the UNM campus,” said Lane. The Murphy lecture is free and open to the public. Tickets are not required. For a list of all events, visit GIS Week.